So CNY is over and you've given away RM2000 in ang paos (but your kids have gotten back more than that amount), spent thousands on CNY food, flowers, decorations, fireworks and firecrackers, new clothes, new brooms, pots and pans, new TV even because you can't loose to your friend's new 60" (or whatever, I have no idea what's out there now) flat screen. You've forked out another thousand ringgit on the unicorn troupe to come eat lettuce and mandarin oranges from your garage roof to ensure another good year for the family (so you really think happiness and prosperity can be bought). You've met old friends you meet once a year and you've been updated on where they travelled to last year and how well their kids are doing. You've eaten that obligatory dinner with relatives you can't stand (thank God it's once a year) and taken family photos that you'll never get to see. You've also gained 5 kgs on top of the 2 kgs you gained at Christmas. 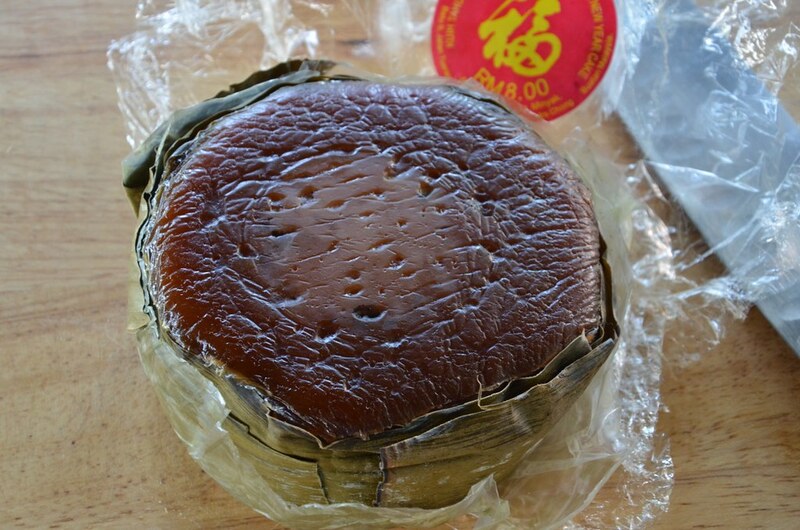 And of course you have leftover nian gao, sticky rice cake. Tell you what. 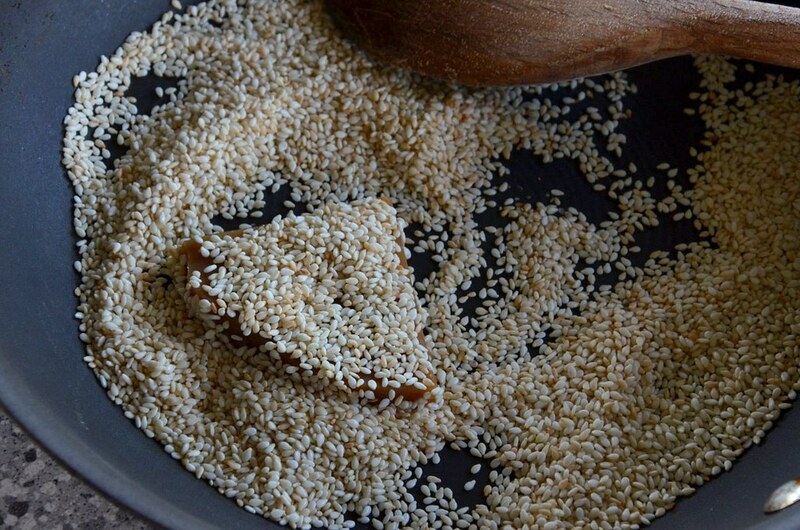 Instead of frying your nian gao in egg, try Chef Tay of Hyatt Kinabalu's simple way of coating the nian gao with toasted sesame seeds and steaming it for a minute, just enough to soften the nian gao. It's yum with Chinese tea. 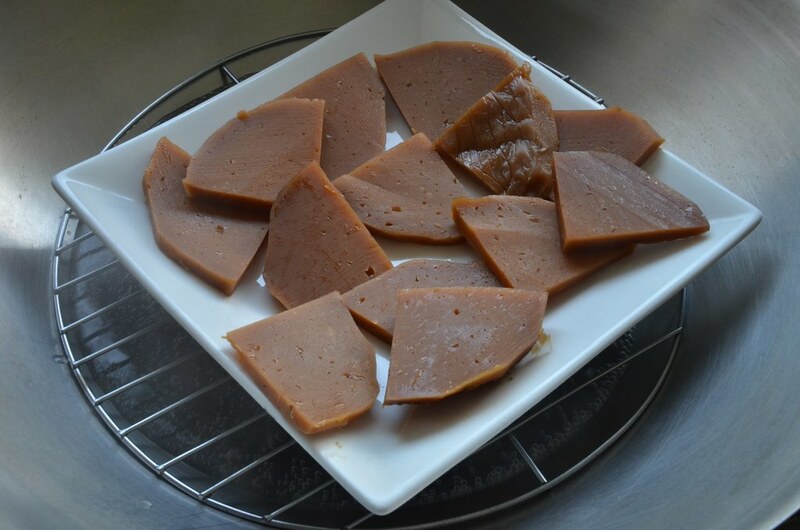 Nian gao can keep for a couple of days without refrigeration but they start to go bad (they go moldy and can taste sour even if not moldy) about 5 days after they are steamed so keep any uneaten nian gao in the fridge. Better still, eat the nian gao asap. 1. Cut into thin slices. 2. 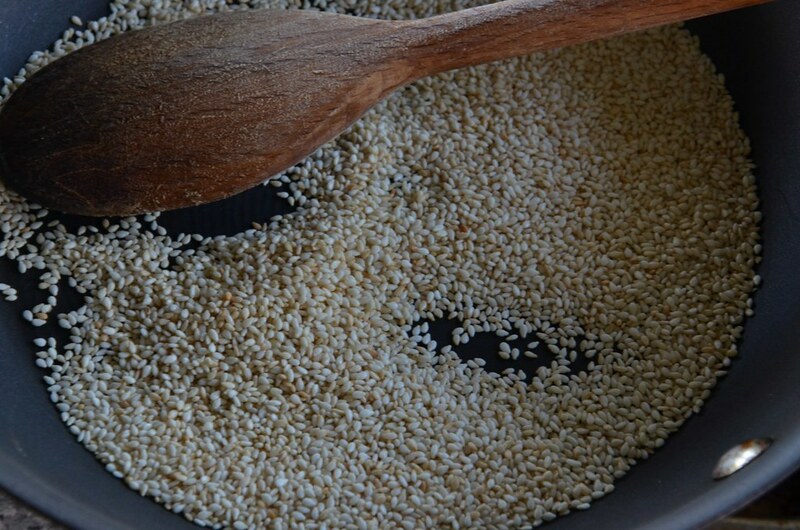 Toast the sesame seeds in a pan. It's faster and browning is more even. 3. 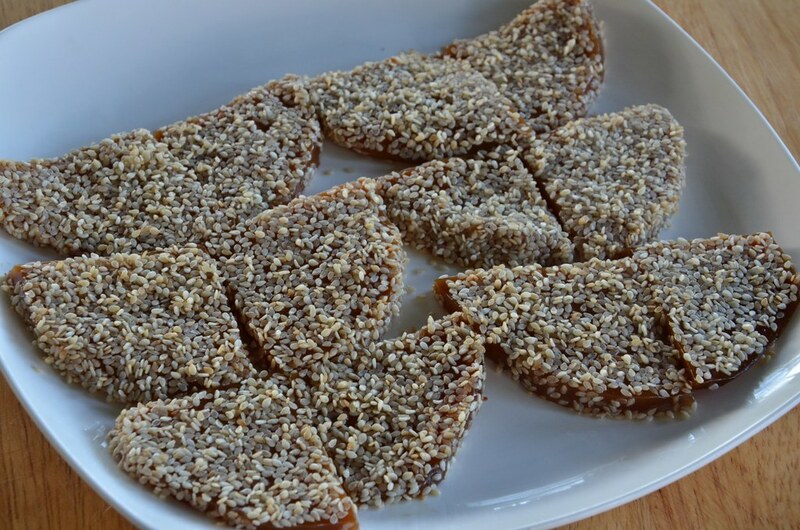 If the nian gao is still soft and sticky, the sesame seeds will stick easily. If the nian gao has gone hard, steam it for under 1 minute just to soften and wet the surface for sticking. Steam too long and the nian gao will be hard to handle. 4. 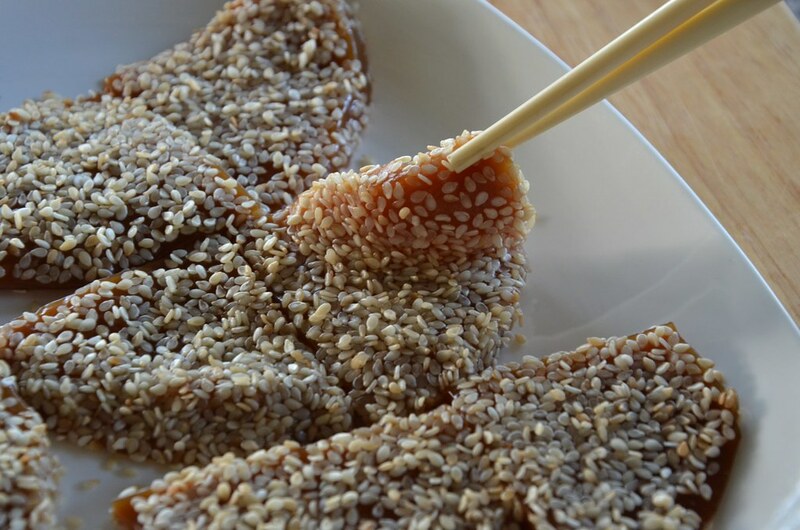 Steam the sesame-coated nian gao for a couple of minutes, depending on how hard it is and how soft you want it. 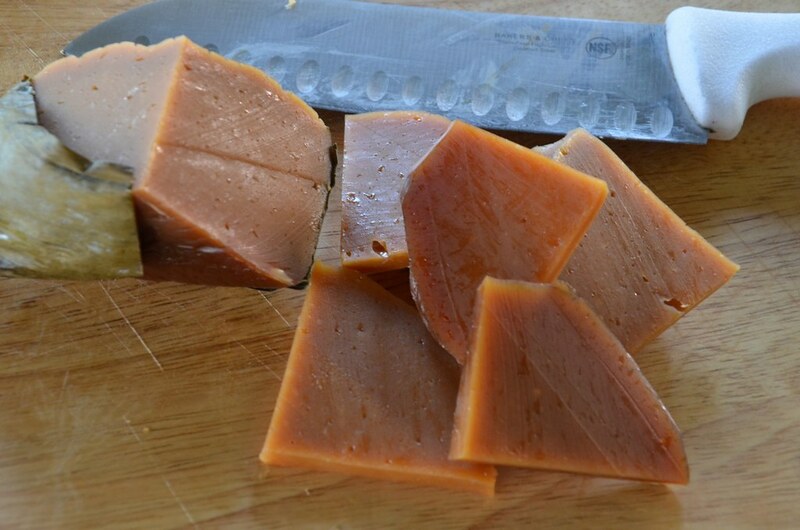 Would it work if we steam the nian gao first before coating with sesame seed? At least the seeds will taste crunchier. I had to laugh when I read your post. Although I miss celebrating CNY but my memories of it was from a child's perspective. No wonder there's an exodus over the CNY period to escape the craziness. Oo...I've never spend so much on CNY, those amount is for the richest! Most important family is back together for reunion, celebrate in a simple way, keep some tradition and yet meaningful. Good for you Terri! Seriously, each CNY meal has to be an ordeal for some reason or another. Not only the food is bad. The company is awful too. I'm sorry, but I have to say that I LOVE how clean and shiny your wok is!! Totally caught my eye. Looks brand spankin' new. Ever since I moved to Australia and learned to look after my own kitchenware, I've grown to appreciate a well maintained pot, pan or wok when I see one. blurting: yes u have to steam the nian gao first if it's too hard otherwise the sesame seeds will not stick. don't worry about the seeds going soft bc you are going to steam for about 2 min only. nate: have u made it? hey are u not updating your blog or am i getting the wrong page? ccc: there's truth in it yes but at the same time it's fun too. i love CNY n have never spent it anywhere but home! anon: u r right, oh, i need kopi-o now! michelle: but there's fun too even when meeting relatives who are annoying bc you can b. about them n their behavior after lol. winston: tt's not my stir fry wok! tt's my stainless steel buffalo wok for steaming fish etc. where were you n how come you didn't come to ming's parties? i was expecting u to come for a slice of pizza. runningbrook: have nvr tried tt. sounds like yum, just like tang yuen. michelle, just my thought: the point was to not use oil. i do love fried nian gao with taro but for a chance, steaming it is nice too. But just a question though. I buy them from a market in Kuala Lumpur, Malaysia which is wrapped in banana leaf. I buy quite a number of them every year before CNY as I love it very much and since they only sell them at this time of the year, I stock it up. Unfortunately mine always gets fungus on it even when I cut them into small pieces and put them in an airtight container in the fridge. My way of cooking it is putting my nian gao in a spring roll wrap and fry them.